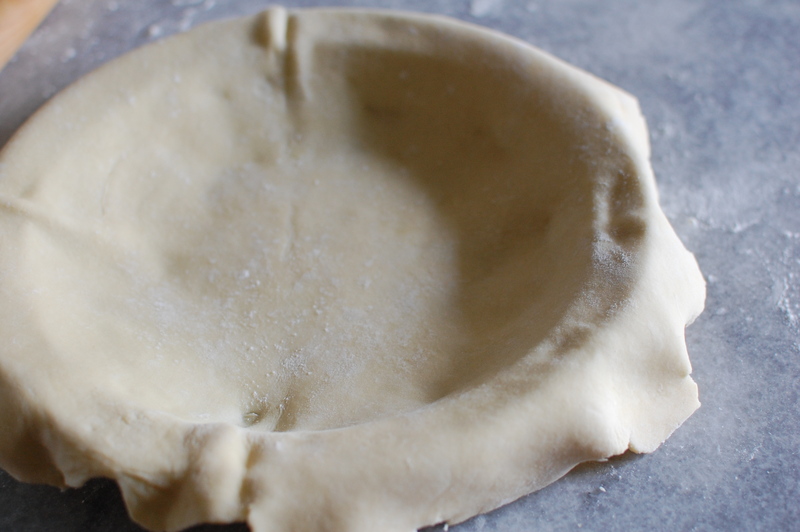 Do you want to make your own pie crust? Or if you already do, are you only somewhat happy with the result? Do you hold your breath through the process of adding ice water, wondering if that final drop will damn the whole thing? And, most importantly, do you have a stand mixer? This is essentially the pie crust recipe from my book, which I’ve heard from many of you has changed the way you do pie. I credit Shirley Corriher, as it never occurred to me that throwing butter and flour and water into my KitchenAid would change my life. But it has. So here we go. This method has been infallible for me, doubles well, and makes a good whole grain crust, too, if that’s your thing. There’s not much art, no guesswork, and no holding of your breath involved. The only rule? Stay close to your freezer. 1. Cut the butter in to small cubes (about 1/4-inch). Do this quickly, without any extraneous touching of the butter. 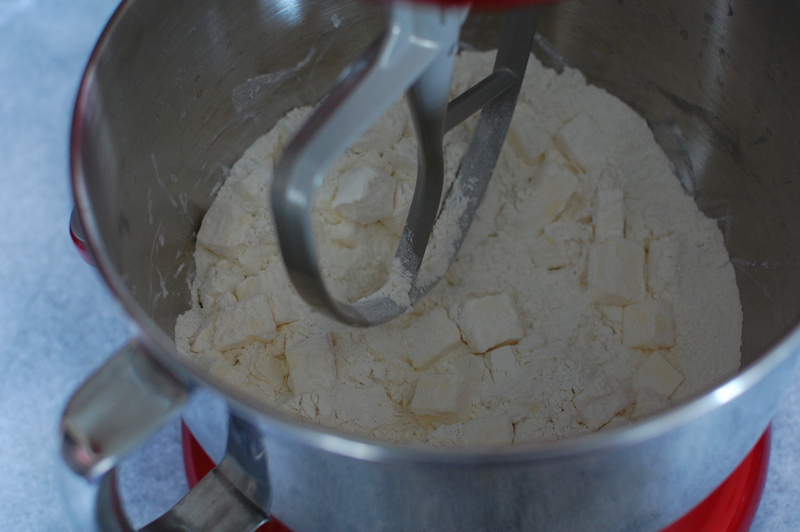 Measure the flour into the bowl of your stand mixer, and add the butter to the flour, lightly tossing it to coat the cubes in flour. Put the bowl in the refrigerator. In a small measuring cup, combine the water, apple cider vinegar, and salt. Stir to dissolve the salt, and put the cup in the freezer. Walk out of the kitchen for 10 minutes. 2. Fit the stand mixer with the beater attachment. Remove the bowl from the fridge, and fit it into the mixer. Stop the mixer. 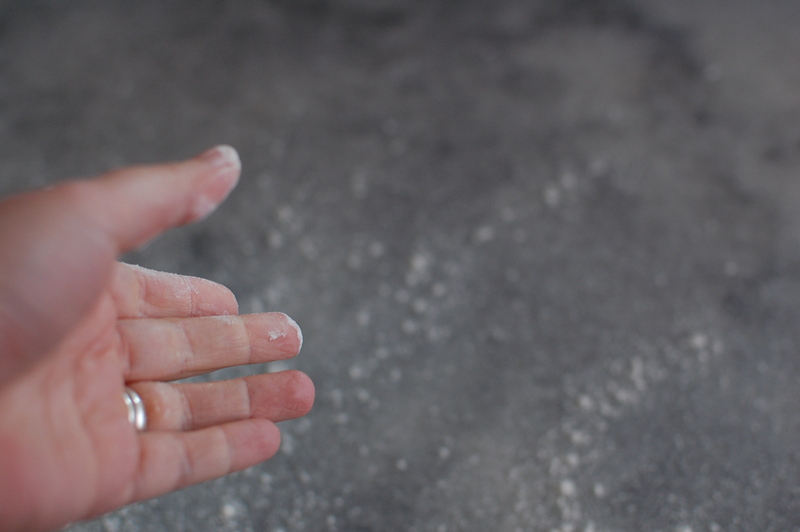 Gather the dough together with as little handling as possible and plop it down on a lightly floured counter. 4. Grease a 9 or 10-inch pie dish with butter and give it a light dusting of flour. 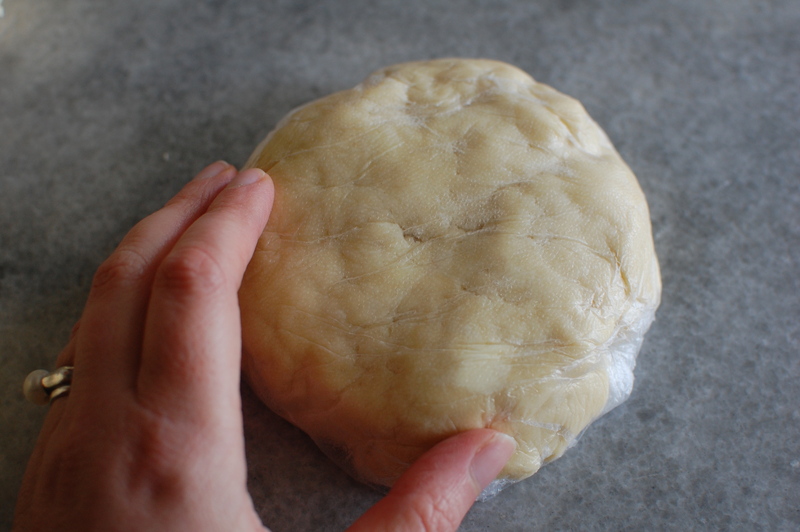 Take the dough out of the refrigerator about 15 minutes before you’re ready to roll it out. 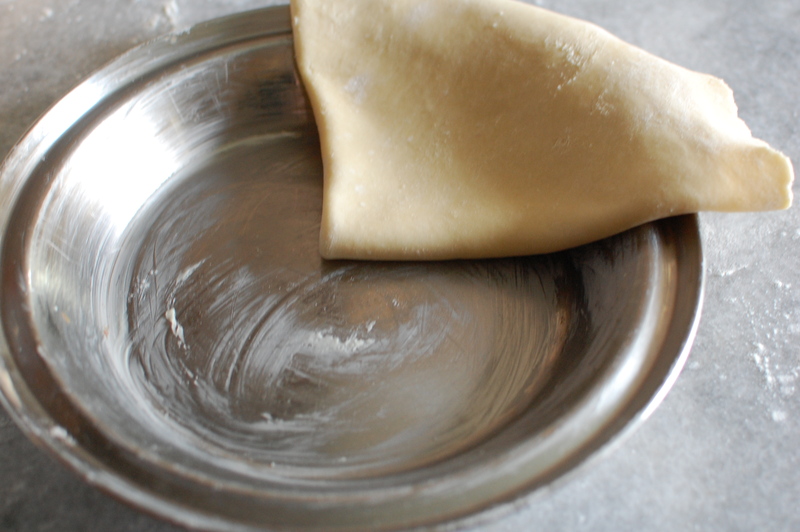 Unwrap the dough and place on of the discs on a lightly floured counter. Try to make sure you are starting with a good circle. Remember, the smoother your disc, the easier it is to get your dough into something close to a circle. Starting from the center, roll with quick, strong strokes. 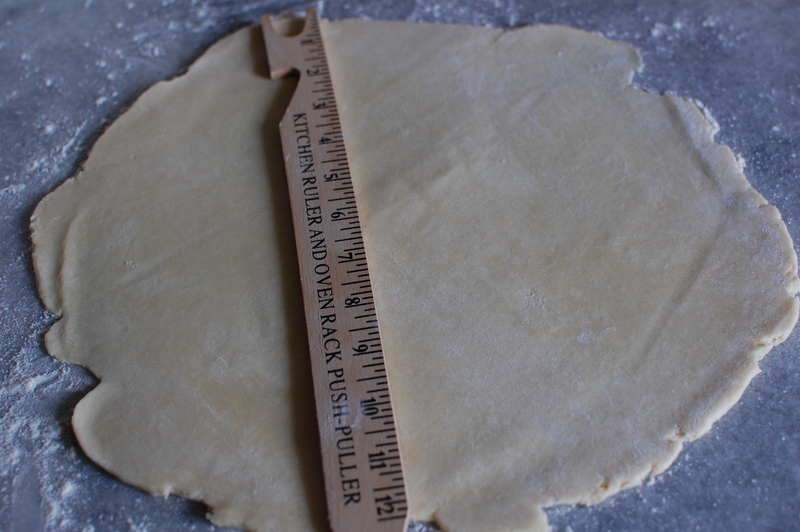 Roll until the the dough is circle-ish, about 12-14 inches in diameter, and about 1/8-1/4 inch thick. If you feel the crust might be sticking, you can absolutely flip it over and give it a bit more flour. Don’t fear the flour. 5. Now transfer the dough to your pie pan. Fold the dough in half, and then in half again. Pick the crust up and line it up with the center of the pan. Unfold the corner into a semicircle, them into the full circle. 6. Now we can go in lots of different directions. For a double crust pie, fill it now, trim and crimp the crust (more on that in a moment), and put the whole pie in the freezer while the oven preheats. For a single crust pie, trim and crimp or shape the crust, and put the unfilled crust in the freezer for at least an hour before filling it. The freezer time will help prevent crust shrinkage. 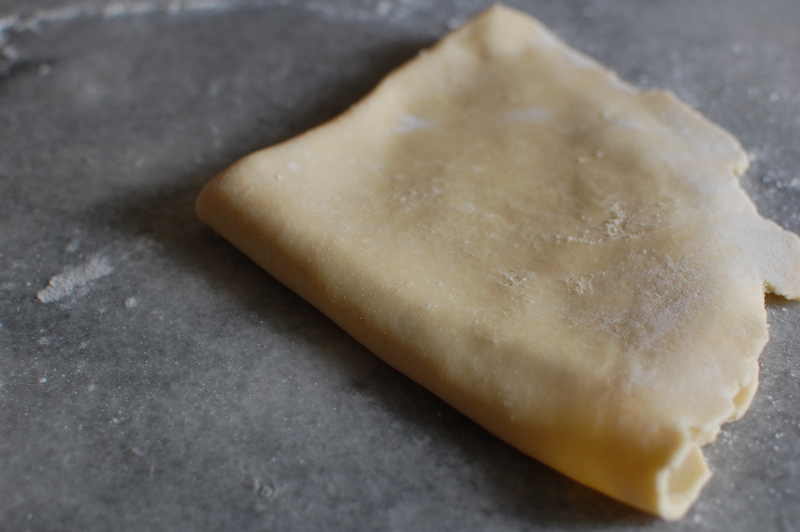 You can also wrap the crust at this point and freeze it for a while, and then you have frozen pie crusts (just like store-bought), ready to go. For a basic crimp, fold the edge of the crust under, and either use a fork or use the first two fingers of one hand and the index finger of the other hand, like this. 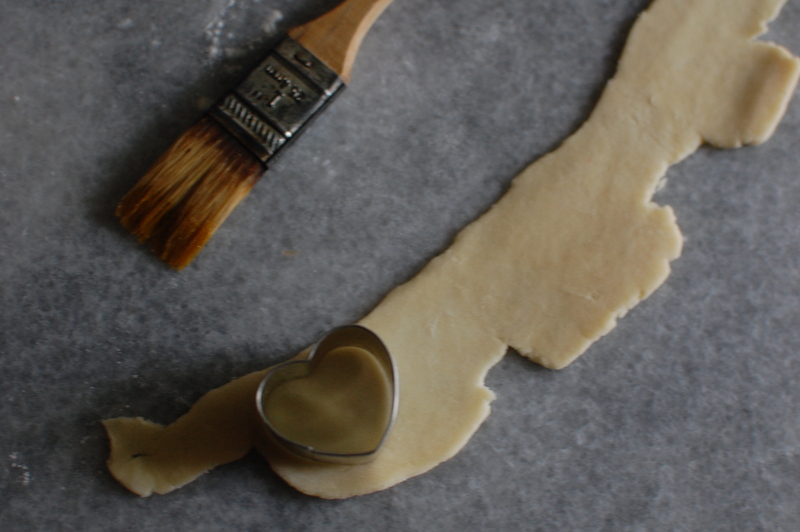 For circles, maple leaves, or any other shape, you’ll need a small cookie cutter. 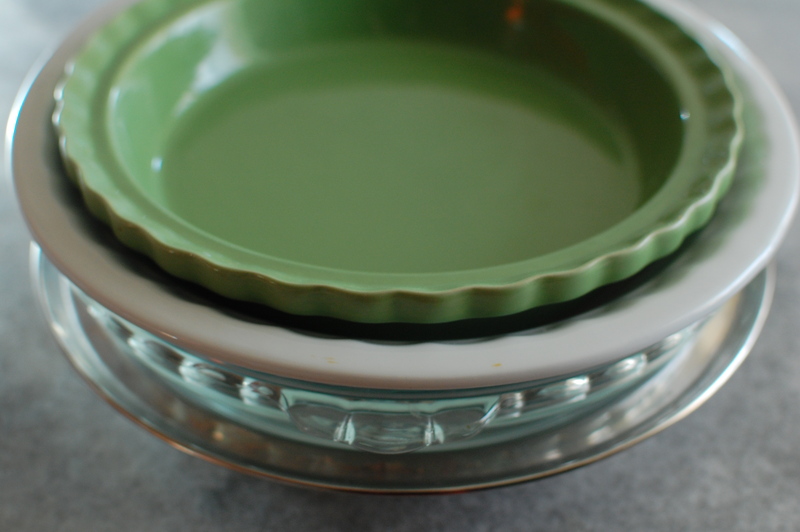 You’ll want to trim more of the edge, so it reaches just to the edge of the pie pan. 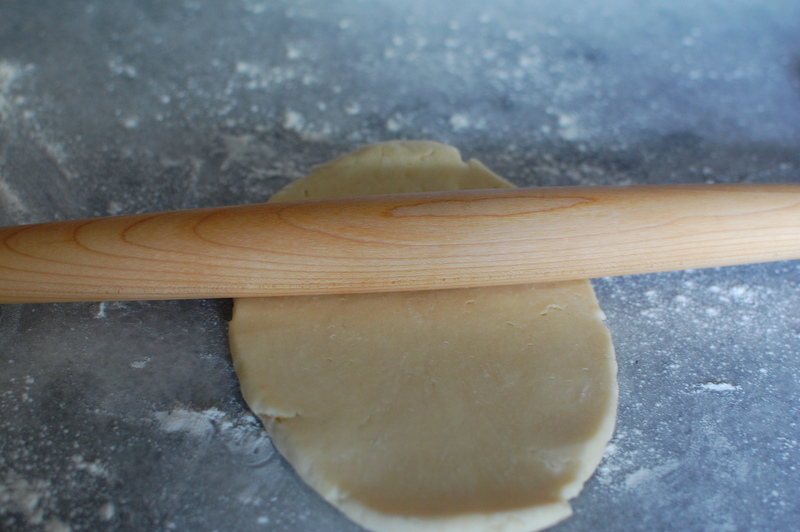 Use the cut-off edges, or you can also roll a bit of one of your other crusts if you want to have more dough to work with. Brush the edge of the crust with beater egg yolk. It will act as glue. Then attach your cut-outs to the crust. The key with any of these recipes is to always keep it cold. If you need to wait a few minutes while the oven preheats, throw it in the freezer. Need to take a phone call? Throw it in the freezer. If your butter is warm when the crust goes into the oven, the butter will ooze out of the crust and the crust will shrink. 1. How do I get a round crust? Don’t stress it too much. But the rounder (and free of cracks) your disc, the rounder your crust. 2. Do I need an egg wash? Totally up to you. A bit of beaten egg yolk brushed on your crust will make it shiny. And if you want to sprinkle sugar overtop the crust, the egg will help it adhere. 3. How do you create a lattice? I’m an improviser- I just tuck here and weave there. But Deb’s got a good tutorial here. 4. How about a gluten-free crust? Again, not a realm in which I’m super experienced. But I wanted to include this one, as I imagine some of you have good answers! I did consult my wise friend Janet, who suggested a combination of this and this. 6. How to prevent shrinkage when blind baking. I have to admit, I often skip the blind baking! But if you have to do it, make sure the crust is fairly frozen when it goes in the oven. 7. Favorite recipes for Thanksgiving? We do the same things ever year, or else there’s a rebellion. This pecan pie, ginger pumpkin, maple cranberry tart, and damp gingerbread with pears. 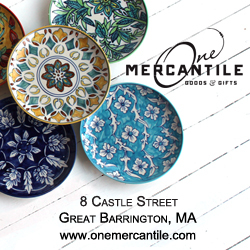 If, like me, you have a thing for interesting pie dishes, you may or may not be using a standard 9-inch pie pan. Use a ruler, so you have a sense of how far off you are. Remember that only metal or stoneware is okay to go straight from the freezer to oven (some glass wear will break). The more straight-sided the pan, the less gravity is in your favor, so make sure that crust is good and frozen when it goes in the oven. Happy cooking week, friends. If you have any questions or suggestions, add them here in the comments. I’m sure between all of us, we can make a lot of pretty great pies this week. I have never feared the crust, but I am certainly going to give this a go. 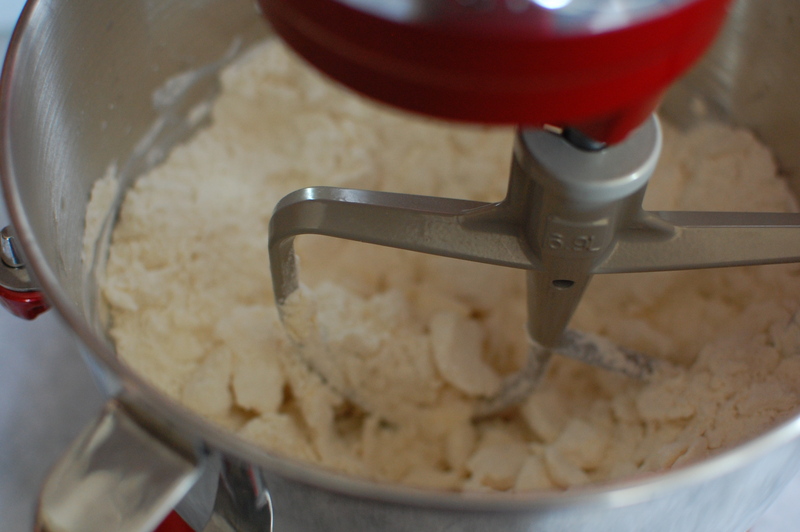 I have never used the stand mixer for this, it looks brilliant and easy to make a big batch. Perfect for this time of year. Thank you! A great post. It’s as if you read my mind; my pre-holiday pie anxiety was just kicking in. Whomever coined the phrase “easy as pie” was a severe over-achiever in my book. It’s NEVER easy! You said it. I always found it so frustrating when people talked about the ease of pie crust, as every single time I made it by hand- I’d panic a little when I thought it was too dry and then add too much liquid. I rarely got the balance right. But as long as you keep it all cold, this just works. If you try it, let me know how it goes! Oh try it Hannah! I really think this method is quite miraculous, even if your comfortable doing it by hand. The dough feels really different- a bit more play-dough like, but it rolls so well and then it’s super tender when it bakes. Let me know what you think! Definitely going to try this. I just want to be sure I know what I’m doing. Butter should be cold and straight from the fridge when you begin? Not frozen or anything? I can’t wait to make a pie!! Yay! ^^^Nevermind. I found it in your book. I should’ve looked first. Cold it says. Got it! Oh, but thanks for pointing it out! I’ll add “cold” to the post. I love pie, so I have tried hard to make good pie crusts. Where I’m at now is with an oil crust rolled out between waxed paper. It’s very easy, but I want to try your method. I do not, however, have a stand mixer. I have a food processor with a dough blade – think that will work? Yes, Margo- a cuisinart with a dough blade should work. Just be aware that the food processor gets a bit warmer, so try to stay really aware of the dough temp as your mixing. Alana, would you encourage a discussion on this topic? I, too, love the ease of using a stand mixer, which I discovered awhile back when I just didn’t want to use the processor, nor did I feel like doing it by hand(though that is actually kind of fun). 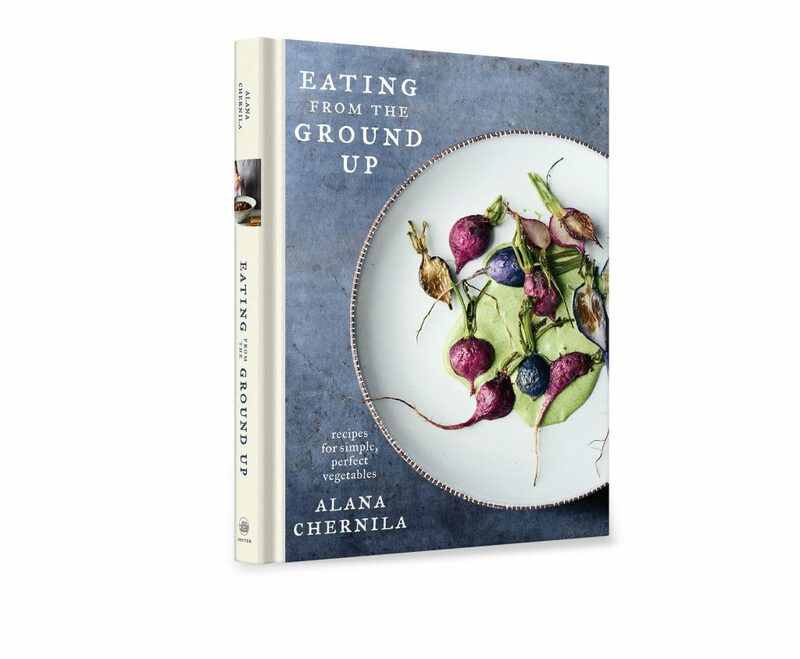 The reason I ask is that there’s a couple other really wonderful pie crust recipes I love using, and your readers may also have some recommendations. The ones I use are all butter and that makes them especially delicious. The stand mixer is really amazing with pie crust making as long as you stop before it become clay-like. Can you do an even substitue of lard for the butter? My Granny made a very DELICIOUS and simple (“simple”) crust each year, and made it every time with lard-and only lard. Absolutely. My favorite with this recipe is to do 1/2 butter/ 1/2 lard. Oh, I must have not seen this comment before I posted! 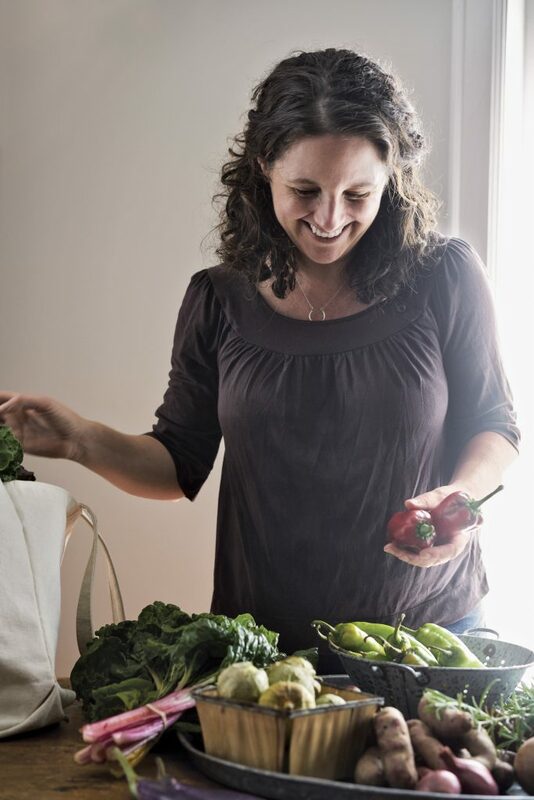 So happy to see other people know and love using leaf lard too! Oh!! I have only made the pie crust a few times but it’s always blah…And I made up a galette-ish last night with store crust that way really blah so I am super stoked to see this! I definitely want to make the crust…My mixer is so lovely and I had never thoought to use for pie crust!! (I must’ve missed this in your book…but now I will look). I will admit I always avoid making pie crust and resort to store bought. I feel silly doing this as I have no problems with other baking endeavors. I decided to take the plunge tonight. I followed the directions and pictures and just when I thought it wasn’t going to come together in the mixing bowl it did! The discs are now wrapped and chilling until tomorrow when I’ll take them out of the fridge and confidently roll them out. I’ll let you know how it goes. Getting ready to try this pie crust for tomorrow’s pecan pies. Wanted to confess I ate a slice of Molly’s bittersweet mocha bundt cake for breakfast 🙂 Happy Thanksgiving to you and yours! In my experience, the more you practice, the easier it gets to be confident about making really delicious pie crusts, so my advice is to make a lot of pies, including pot pies. One of the recipes I use is by Greg Patent of the “Baking Wizard”–you just add an egg yolk to your recipe. Another favorite one is super easy: mix 2 cups flour, 1/2 teaspoon salt, 1 teaspoon sugar. Then, cut in 2 sticks of cold butter in fairly thin slices. 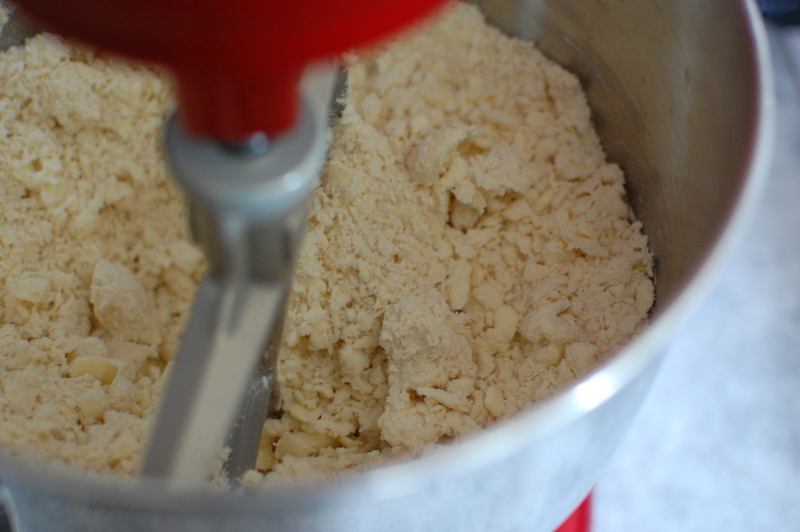 Turn on mixer with blade attachment on medium speed until butter pieces are feathery, flaky-looking. 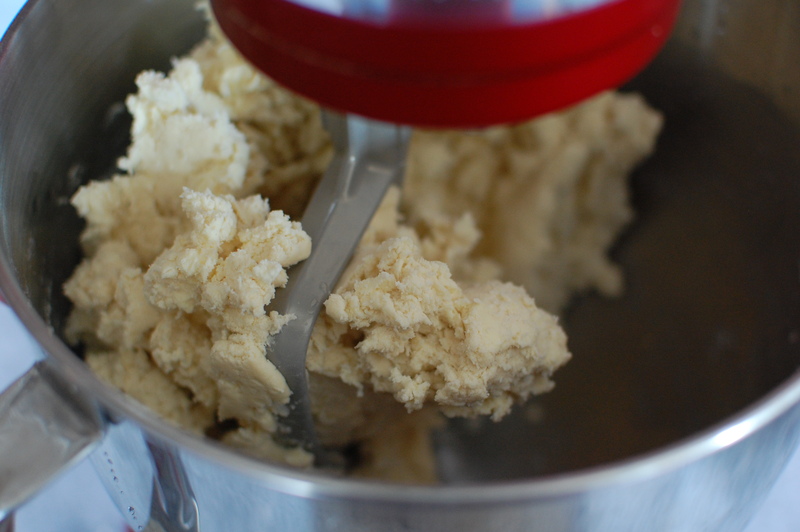 Stop mixer and reach in to feel dough–butter should still be in pieces, clearly visible. You don’t want it to be all mixed in with the flour, so small you can’t really see it. The next step is to add approximately 1/3 cup of sour cream and mix a few turns at low speed. Probably 4 or 5 turns. Stop. You ‘be over-mixed if it looks slick and clayey (you can still use it, just stop the mixer sooner next time). Dump the crumbly dough on a piece of cling-wrap, and kind of separate it into two piles. Use the cling-wrap to mush one of the pieces into a roughly shaped mass and move it to a second piece of cling-wrap. Then, continue pushing it with the cling-wrap to make a disc shape, flattening it as you go along. Wrap it tight and place on a plate. Do the same with the other pile of crumbs. Put in refrigerator for at least an hour, up to three days. I roll it out on a floured piece of parchment, scattering a bit of flour on top as well. This wonderful pie crust is from Leslie Land. Her blog site, maintained as a resource, is a treasure-trove of wonderful recipes and baking tips. 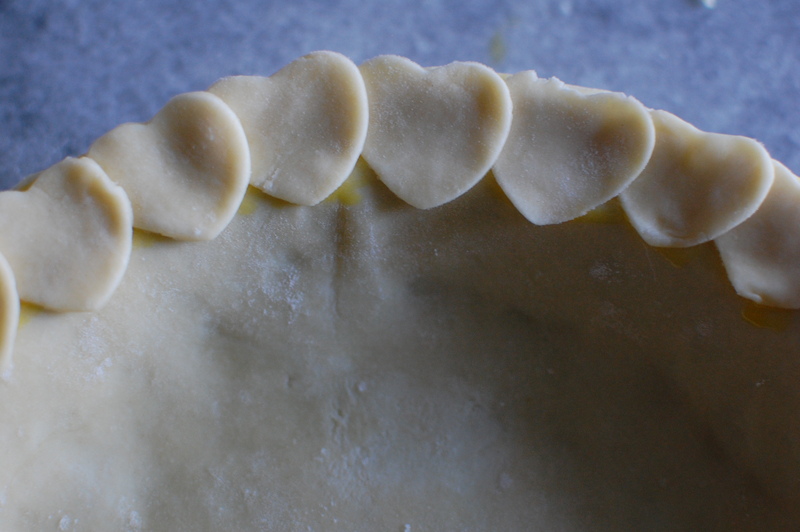 I encourage your readers to have fun making pie crusts. 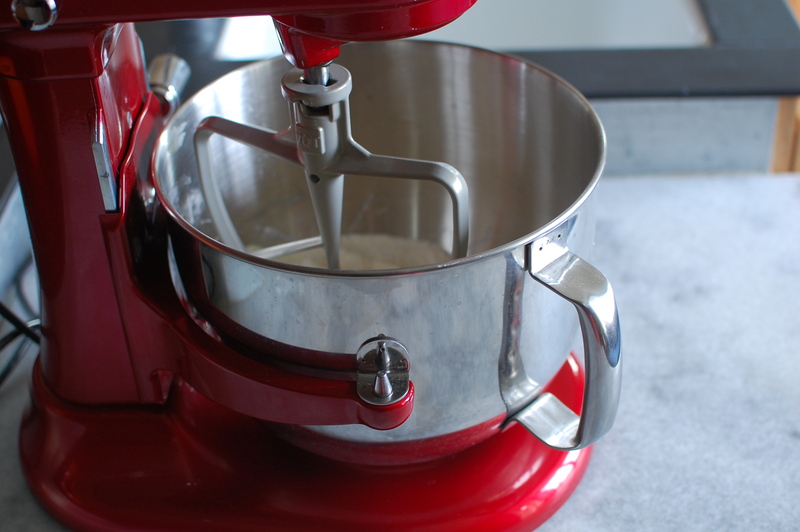 Your tip about using the mixer makes it so easy, both to make and to clean up after. As you get more practice, you’ll know when to add a bit more liquid or sour cream, to get the dough to come together so it will be easy to roll. Other days, you may need to sprinkle on a bit more flour. The weather really affects this. Soon, you will really enjoy making pie! I love anyone who goes to this much effort for pie crust! 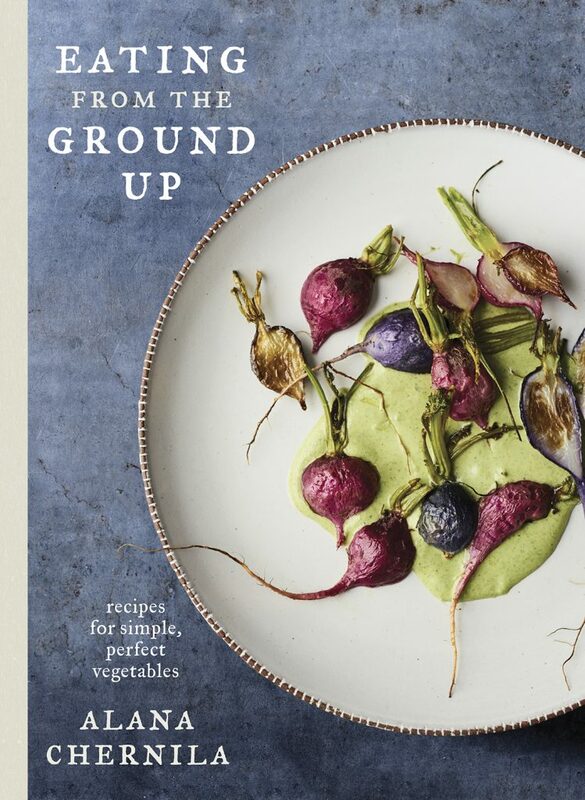 It’s been one of my favorite projects to play with–I even ended up accidentally learning to render leaf lard while I was testing my favorite combination of fats for my base recipe from my grandmas (my favorite turned out to be 50/50 lard/butter). I also love that you used the mixer, I’ll have to give that a try. I’ve tried every variation of mixing pie crust, including the food processor, and never had luck with it, I’ve only had reliable results with a pastry cutter. 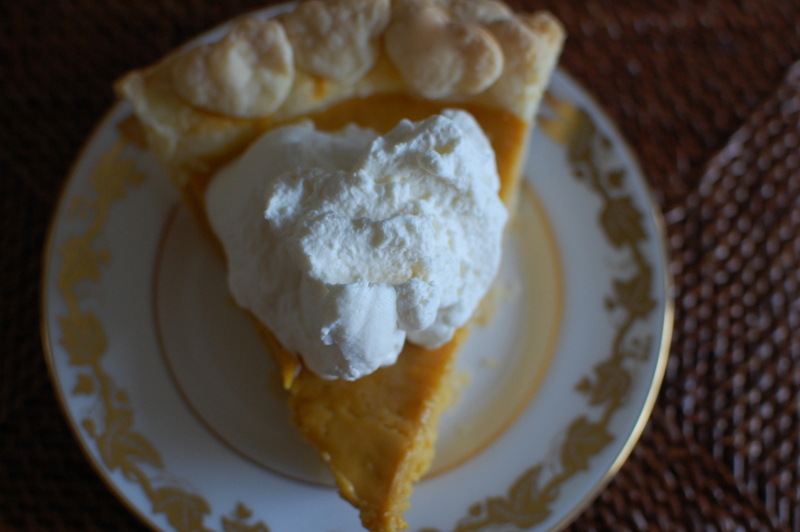 Finally, have you seen or heard of Hoosier Mama Pie? 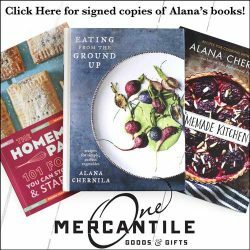 They’re a local Chicago company who just came out with an amazing cookbook this summer for all kinds of pies sweet and savory, plus some great tips, like why to use cream and milk for brushing or how to keep filling from getting soggy with “crust dust” (I’m not affiliated, I just love them that much). You might be interested in checking it out. I’ve never seen it, Christina, but I’ll look! I’m always happy for a new pie resource. I just got a chance to try this, and it turned out great! I’m keeping this handy! Hi, Alana, I know this is an old post, but last year I was giving birth this day and I have only just read this lol. I made your pie crust for a chicken pot pie and I could definitely taste the Apple Cider Vinegar in it. Was ok with the chicken but I didn’t think would go with everything I like to make and wondered if buttermilk could be used instead of water and vinegar? Or maybe lemon or lime or Orange juice substitution? I know the point is the acid content , but I don’t remember why, seems like Joy the Baker explained it but I can’t find where. Have you ever tried a substitute? Giving birth! That’s the best excuse for not reading a post I’ve heard :). (Congrats!) So yes- you want an acid in there. I’ve found vodka to be an okay substitution, and there’s less flavor to it. I’ve been meaning to try rice vinegar- it’s so much milder, and I think it would do the the trick as well. I’ll let you know if I get a chance to test it out- but I think that might be what you’re looking for. I like to use some lard in my crusts, can I just sub out some butter without any other adjustments? Yes Erin, absolutely. I’ve done this with 1/2 butter, 1/2 lard and it’s been fantastic. how many grams are in a stick of butter please, in the UK our butter comes in a block of 250grams. 1 US stick=113 grams. Thanks, Tina! I just got my first Kitchenaid mixer a couple of weeks ago and decided maybe I could find a pie crust recipe to use in it. I usually make crusts by hand, cutting in the butter/shortening with a pastry cutter. I made my normal crust in the mixer last week to very “meh” results. However, I did your recipe this week, and it worked up just the way it does in your photos/tutorial! I make vegan pies, so I used vegan fats for it. This method worked perfectly, and I now have the prettiest little pie cooling in the kitchen (well, I did a terrible job on the lattice, but still!) I think this is my new crust recipe, forever! Hi, this weekend is pleasant in support of me, for the reason that this point in time i am reading this enormous educational post here at my home. 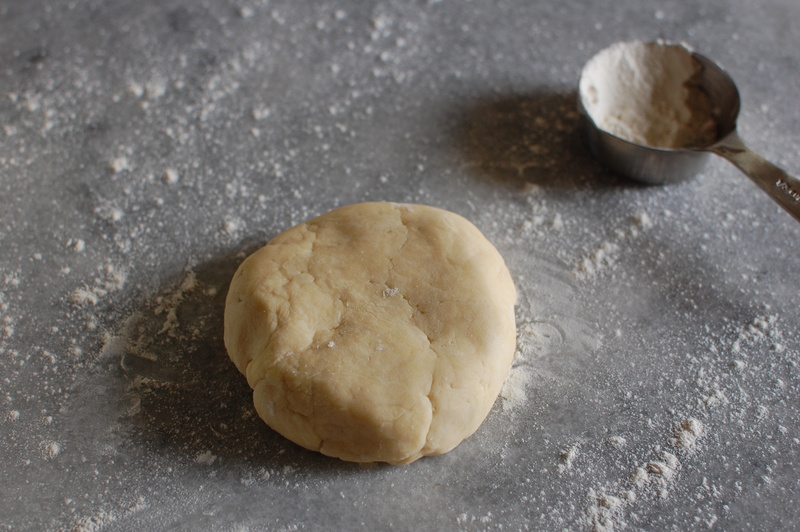 ME and dough have had a difficult relationship… more like nonexistent. LOL But I figured I’d try the stand mixer my son bought me for Christmas. That plus this recipe made an amazing crust. My relationship with dough is revived! Hooray! So glad to hear it. Made 2 pies for Thanksgiving using your recipe for pie crust. Perfect each time! Thanks so much for the detailed instructions; made all the difference. I have never been able to make a good pie crust; they didn’t want to roll properly and were either gooey or too dry and always seemed to bake up tough. I’ve tried many different recipes for “the perfect crust” and have never found one that worked for me. I was always lured in by the lovely pictures of golden brown flakiness only to end up with splotchy, sagging, misshapen blobs all off kilter in the pie plate. I saw this recipe in your book and then found your detailed pictorial here and though, here’s another to try. Haven’t seen any “life changing” recipes among “the perfect” ones, so figured I would give it a shot. So glad I did! I used this to make quiche for my family for dinner last night. Even with cutting short the chilling time (wanted to eat before bedtime 🙂 ) it worked! And it was delicious! Thank you so much for sharing this! Can’t wait to try it for a “real” pie! Hooray hooray! Now you’re a pie maker! I wish to make a top and bottom crust what do I do ? How do I freeze the top crust? Great question! Freeze the bottom crust, fill and top the pie with the top crust, and then put the whole pie back in the freezer for about 15 minutes before it goes in the oven.